Last weekend I did a very quick photoshoot for a family celebrating a 60th wedding anniversary. 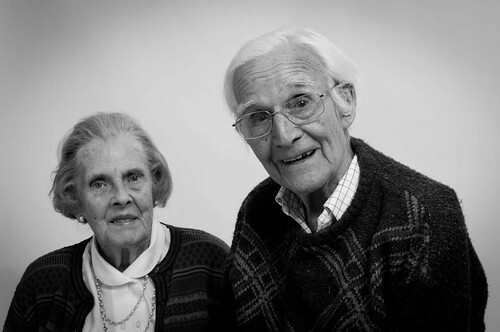 The happy couple were a perfect example of what we should all be striving for in our personal life..... still together after 60 years, and at a celebration with all their family around. Tried to get this done as quickly as possible as I didn't want to intrude on their family time, so took less shots than normal, but I think I captured some good ones regardless. This one was my favourite.... clearly showing their happy and alert characters.